Bob Keeley is responsible for leading the executive management team, developing high-level client relationships, nurturing the corporate culture, and ensuring client satisfaction. Bob possesses over 25 years of industry leadership and expertise in the real estate, construction, and project management fields, and he was among the first entrepreneurs to pioneer the independent owner’s project manager industry. As the founder of Diversified Project Management, Bob led the firm to become one of the largest and most respected project management firms in New England. As Senior Vice President of STV|DPM, Bob ensures that the firm actively participates in numerous industry organizations including the Society of Industrial and Office Realtors (SIOR), National Association of Industrial and Office Properties (NAIOP), International Interior Design Association (IIDA), Commercial Brokers Association (CBA), International Facilities Management Association (IFMA), New England Healthcare Engineers Society (NEHES), and Eastern Region Association of Physical Plant Administrators (ERAPPA). Bob has presented on key industry topics for SIOR and CBA and has been featured in the Boston Business Journal, New England Real Estate Journal, Boston/SF, Banker & Tradesman, and other publications. Bob earned his Bachelor’s degree in Business Management from Bryant University in Smithfield, RI. His professional skills in the design and construction industry include experience as a general contractor and in commercial relocation. 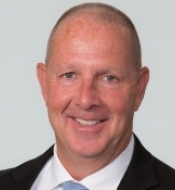 He has led teams on a wide variety of projects including site selection and due diligence, base building infrastructure upgrades, new construction, interior renovations, and relocations across many industry segments. He supports many philanthropic missions and serves on the Board of Trustees for the Greater New England Chapter of the National Multiple Sclerosis Society. Bob has been honored with the “Community Event Volunteer Award” by The MS Society and with the “Charity and Community Service Award” by Boston/SF. In 2012, Bob was awarded the "Corporate MileStones" award at the annual MS MileStones Gala. Most recently, Bob was recognized by CoreNet New England as the 2016 Service Provider of Year - Leadership Real Estate Exceutive, Americas. As Vice President of Operations, Bill calls on his proven leadership skills for all hands-on operational aspects of STV|DPM, and is a creative thinker that is driven to success for our valued clients and our staff. Relying on over 30 years of Project Management and Interior Design experience, Bill is a consensus builder and collaborative leader, having led an award-winning design firm with deep roots in the Greater Hartford and Stamford marketplaces. His combination of technical project experience, client development and operational management is unique in our industry. Most recently, Bill led the Hartford office of Fletcher Thompson Architects as Partner and Principal of Interior Design. Prior to that he was President and Managing Partner for Schoenhardt Architecture + Interior Design. Bill has served as the President of IIDA’s New England Chapter and has served as a member on the IIDA International Board. He is a LEED AP, and is only one of five FIIDA Fellows (FIIDA) in New England. Bill is actively involved in IIDA, CoreNet, the Construction Institute, BOMA, and other industry organizations, and is on the board of the New Paradigm Theatre. Bill attended Wentworth Institute of Technology and Rensselaer Polytechnic Institute. Phil, Vice President of Operations, leads STV|DPM’s business operations and project management teams. 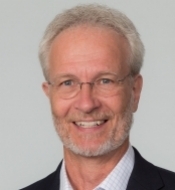 Phil has 30 years of experience in the management of business operations, capital and operating budgets, facilities, administrative systems, human resources, and project teams. During this time Phil has delivered over $200M in construction and renovation projects in the Academic, Corporate, High-Tech & R&D, Industrial, and Lab & Life Sciences sectors. Former clients include Brown University, East Boston Savings Bank, Jewish Family & Children’s Services, Millennium Pharmaceuticals, and Massachusetts Institute of Technology. Prior to joining Diversified Project Management in 2000, Phil worked for Hills Department Stores (the nation’s eighth-largest discounter) in the roles of Facilities and Administrative Services Manager, Human Resource Information Systems Manager, Business Methods and Procedures Analyst, and Space Planner. Phil holds a degree in Business Administration from Northeastern University. Mark brings over 27 years experience in architecture and construction to his role as Vice President. Trained as an architect and a construction manager, Mark approaches his work on the client’s behalf from both the designer’s and owner’s perspectives, coordinating projects from conception through completion. He has represented clients’ interests across all business sectors, with a particular focus on Healthcare, Industrial, and Lab & Life Sciences facilities. Clients include ALSTOM Power, Pratt & Whitney, Connecticut Children’s Medical Center, Lawrence & Memorial Hospital, the University of Hartford, and the University of Connecticut Health Center. 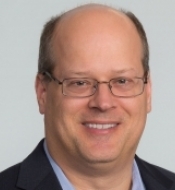 His prior experience includes roles as Senior Program Manager at Aramark Facility Services, Executive Director at Medway Development Systems, and Supervisory Project Manager at Kaiser Permanente National Facilities Services. A veteran of the US Air Force, Mark’s education includes a BS in Industrial Technology and Construction Management from Central Connecticut State University; and an AS in Architectural Technology from Hartford State Technical College. He is a member of American Society of Healthcare Engineering (ASHE) and the American Institute of Architects (AIA), and holds the ASHE certificate for Healthcare Construction. Two of Mark’s projects have been published in Architectural Record, and he has received design awards for both new construction and historical restoration. In addition, Mark teaches Infection Control Risk Assessment and Mitigation for the Construction Institute. Bob leads STV|DPM’s project management and business development activities in Rhode Island. He works closely with the team to support existing and new clients throughout New England. His in-depth construction management experience both in the public and private sectors provide STV|DPM the foundation to continue to grow and expand its services in the region. Prior to joining STV|DPM, Bob most recently served as director/project executive at a leading design, construction, and maintenance services provider where hespent several years overseeing the company’s largest projects and programs to date. Before that, he acted in several senior level positions leading large scale multi-year programs of every aspect in gaming, hospitality, restaurant, commercial, and school construction. Some of Bob’s significant clients included Mohegan Gaming & Entertainment, Mohegan Tribal Government, Twin River Casino, New Haven Public Schools and several public school programs in Rhode Island. The hallmark of Bob’s highly experienced career in the industry has been his commitment to building longstanding relationships with clients and promoting their best interests in every undertaking. Jim Kolb leads STV|DPM's academic and public sector market segments in the Newton office. A construction industry veteran with more than 30 years of experience in development, design and construction; Jim has served as an owner’s project manager (OPM) for construction projects of varying size and complexity throughout New England. He is a skilled manager who is well-versed in project delivery methods and public construction laws and has successfully delivered new ground up buildings, major additions, interior renovations and historic preservation projects. As an owner’s representative, Jim serves as an advisor in reviewing preliminary and schematic designs, construction and contract documents to make sure they meet project goals. He is also a key resource on issues of constructability, budgeting, scheduling, and designer and contractor procurement, and his team regularly provides on-site representation during the design, construction, and project closeout phases. Jim is a certified Green Globes Professional and a Massachusetts Certified Public Purchasing Official. His most recent projects include Wentworth Institute of Technology’s Schumann Library and the new Center for Engineering and Innovation Sciences building; The Old Chapel restoration at UMASS Amherst, the renovation of Perry Hall at UMASS Lowell, the new Brooke Charter High School, the historic renovation and addition for Plymouth Town Hall as well as libraries in the Towns of Reading and Foxboro Massachusetts. 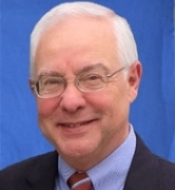 Jim received his Bachelor of Arts degree from Saint Lawrence University, is the former President of the Massachusetts Building Congress and the current Chairman of the Sherborn Library Building Committee. He is also a frequent speaker on industry trends and procurement methods. Steven Lacerte leads STV|DPM’s laboratory/life science market sector. He works closely with the team to support existing and new clients throughout Massachusetts and the greater New England region. Steve’s in-depth facilities and engineering experience, coupled with his highly developed understanding of operational support and business priorities, specifically in the drug discovery, pharmaceutical, and biotech industries, provides significant value to STV|DPM’s clients in the region. Prior to joining STV|DPM, Lacerte most recently served as director, engineering and project controls at Sanofi/Genzyme where he spent several years providing direction in the development of campus strategy, capital program, facilities improvements, and commissioning/qualification in compliance with Good Manufacturing Practices (cGMP). He oversaw a portfolio of more than 40 capital and expense projects for its 1.5M square-foot campus. Before that, Lacerte served as director of site engineering and facilities management at AstraZeneca Pharmaceuticals where he managed a portfolio of more than 30 capital and expense projects for its 800K square-foot campus. Steve is an active member of the International Society for Pharmaceutical Engineering (ISPE) and the Association for Facilities Engineering (AFE). Denise possesses over 20 years of extensive experience representing client interests on a variety of complex projects in the corporate, financial services, technology and legal business segments. 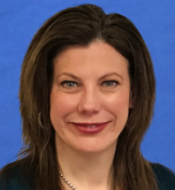 Denise joined Diversified Project Management in 2000, and now as Project Executive for STV|DPM, she has successfully delivered in excess of 1M square feet of projects and has led teams for clients such as Acme Packet/Oracle, EDC, Nuance, L-1 Communications, Advent International and NEPC. A graduate of the University of Connecticut, she also earned her Graduate Certificate in Construction Project Management from Northeastern University. Denise is a certified Project Management Professional (PMP), and is currently an active member of CoreNet. Scott Pinckney, LEED®AP, is a 19-year veteran of STV|DPM, with more than 15 years of experience directly managing the design and construction of a wide variety of projects. As one of the founding members of STV|DPM’s Hartford office, he has been instrumental in leading project teams on many key client engagements in the academic, healthcare, laboratory/life science and manufacturing business sectors. Recently, he led the programming and architectural/engineering coordination for the new Alexion headquarters, and Connecticut Colleges’ New London Hall lab and classroom building. Scott earned his bachelor of arts in environmental studies from the University of Connecticut and is a LEED® Accredited Professional. 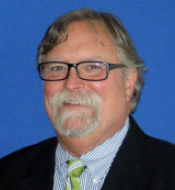 He is also a member of the Connecticut Green Building Council, chair of the Guilford High School Building Committee and past chair of the Town of Guilford Middle School Planning Committee. In addition, Scott has earned certificates in construction management and facilities management from the University of Hartford. 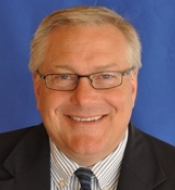 John leads STV|DPM's Corporate, High-Tech & R&D, Industrial, and Lab & Life Sciences business segments. He possesses over 25 years of experience in construction and facilities management, with an extensive background in managing out-of-the-ground and interior renovation projects totaling over $500M in value. 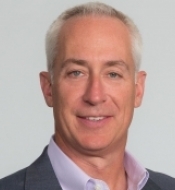 During his tenure with DPM and STV|DPM, John has led significant accounts including Akamai Technologies, Millennium Pharmaceuticals, Analysis Group, Eastern Bank, MITIMCO, NESN, RSA Security and Tyco. John routinely serves as a technical resource for both new construction and renovation projects and depth of knowledge, leadership, staff mentoring and client development skills have been a key part of the firm's success. Prior to Diversified Project Management in 2000, John served as Vice President of Operations for Admiral Construction, and Director of Construction Management at St. Elizabeth’s Medical Center. John holds an AS and BS in Building Construction Engineering from Wentworth Institute of Technology in Boston, MA. He is a LEED Accredited Professional in Building Design and Construction. Kelly works closely with clients to understand their real estate, design, construction and relocation needs and how STV|DPM will be able to provide cost effective owner’s project management solutions. She supports firms in a variety of industries including corporate, academic, healthcare, high-tech/R&D, industrial, manufacturing, laboratory/life science and nonprofit. Prior to joining STV|DPM, Kelly served as manager of marketing and public relations, for a civil engineering firm located in Glastonbury, CT where she worked together with staff engineers, marketing, municipalities and partner companies to pursue professional services contracts, in the disciplines of site/civil, structural, bridge design and construction engineering services. 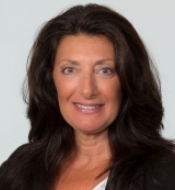 Sandra Gucciardi is responsible for business development initiatives in the corporate, industrial, high-tech, and laboratory/life science business sectors for STV|DPM. She is based in the Newton, MA office. Prior to joining STV|DPM, Sandra spent more than three years as the director of business development for the Boston division of an international relocation firm. With more than 20 years of experience within the A/E/C industry, the common thread throughout her career has been developing strong relationships with various clients, business partners and colleagues. Sandra holds a Bachelor’s of Science in Business Management from Lesley University in Cambridge, MA, and an interior design degree from Seminole College in Sanford, FL. She has her Massachusetts’ Realtor’s license and is an active member of various design and construction industry groups, including CoreNet, International Facility Management Association (IFMA), Commercial Real Estate Women (CREW), Women in Bio (WIB) and serves on the Board of Directors of the National Association of Women in Construction’s Boston Chapter. 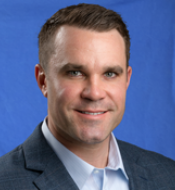 Derek Leclerc is based in the Newton, MA office and leads STV|DPM’s business development initiatives in the academic and healthcare market sectors. Derek brings more than 10 years of business development and marketing expertise in various engineering design and construction-based industries. 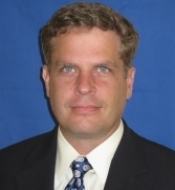 Prior to joining the firm, he served for five years as the regional sales manager for Amphenol Corporation. More recently, for the past three years he was the business development manager for a MEP engineering design firm outside of Boston, where he focused on developing and maintaining strategic partnerships across the healthcare, higher education and science and technology market areas. Derek holds a Bachelor’s of Science in Business Management from Keene State College in New Hampshire where he graduated with academic honors. He is an active member of various design/construction industry organizations, including New England Healthcare Engineers Society (NEHES) and the Society for College and University Planning (SCUP), and also serves as the communications chair for the Society for Marketing Professional Services (SMPS), Northern New England Chapter.